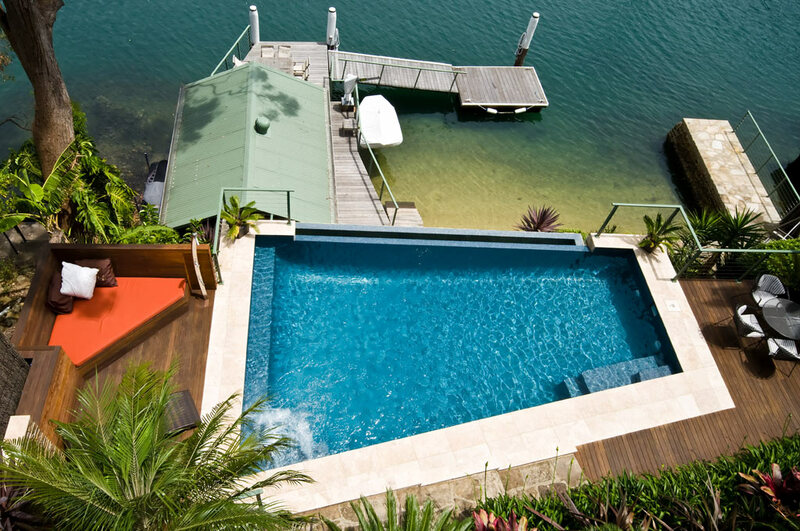 This simply stunning Infinity edge pool has been designed and engineered to complement the magnificent private beachfront location. 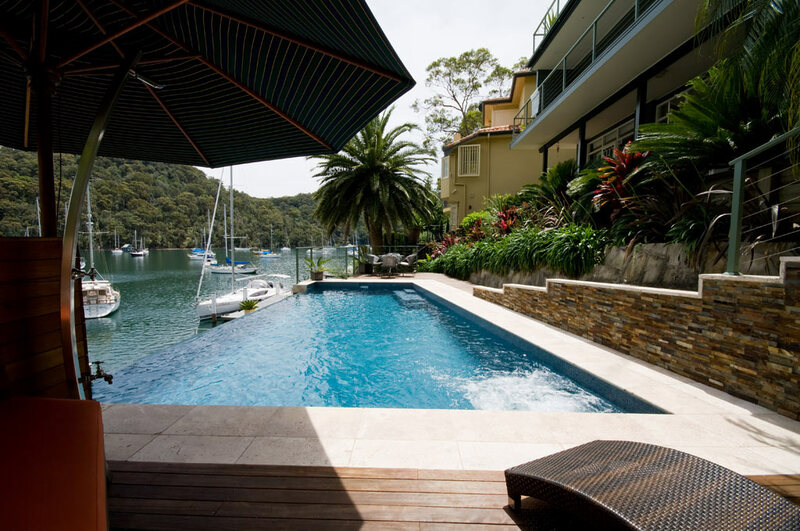 The fully tiled pool is surrounded by decking, lounge areas including a stainless steel shower. 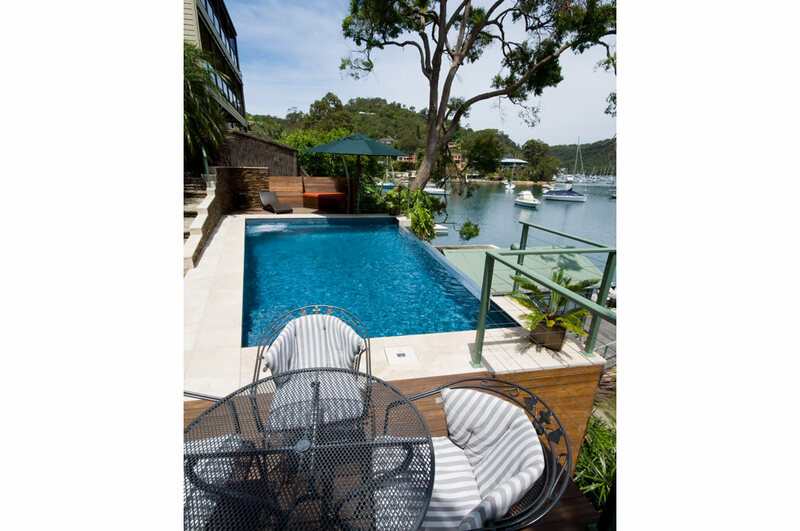 The pool is 8m x 3.5m with a viewing ledge, spa jets, booster pump and big eco-friendly cartridge filter with salt water chlorination which suits this teenage families lifestyle. 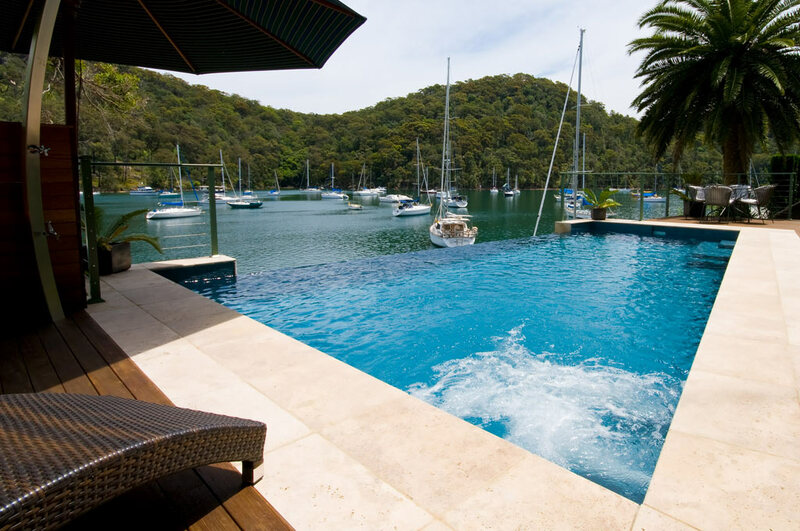 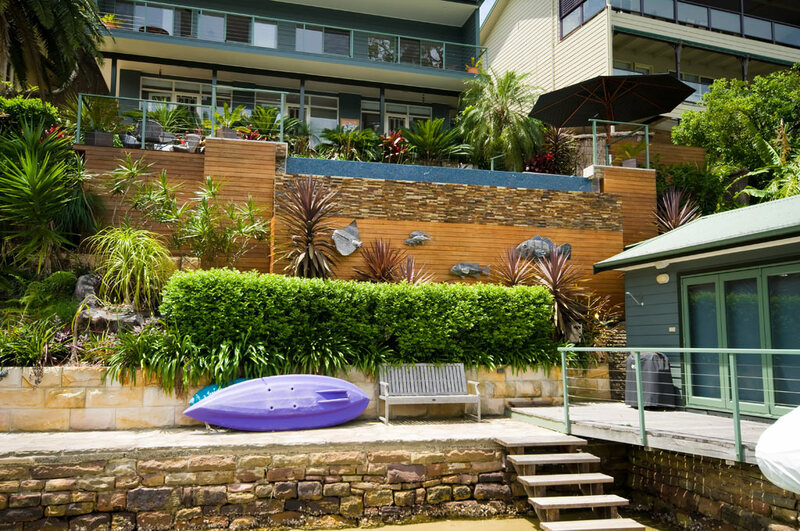 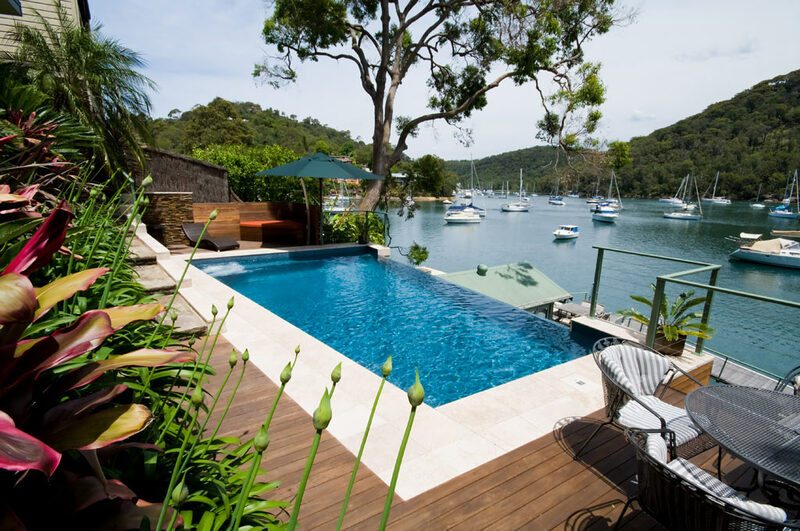 A magnificent negative edge look that blends into the idyllic calm waters of Pittwater.